I’m driving back up to uni on Tuesday, and will be doing so much coursework this week since I have a huge piece due in next week that I haven’t really managed to start over the holidays. Seriously, it’s horrifying how much I have to get done. I don’t have any books on the go at the minute, so it’s a chance to start fresh with my reading choices. Tuesday – Driving back to uni today (5+ hour drive) so not expecting to get much, if any, reading done. 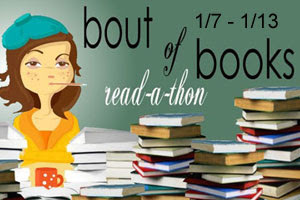 I hope Bout of Books provides a fun break for you!